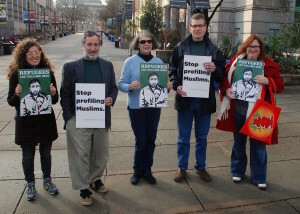 Two pro-confederacy rallies were planned in downtown Raleigh on January 16, 2016. 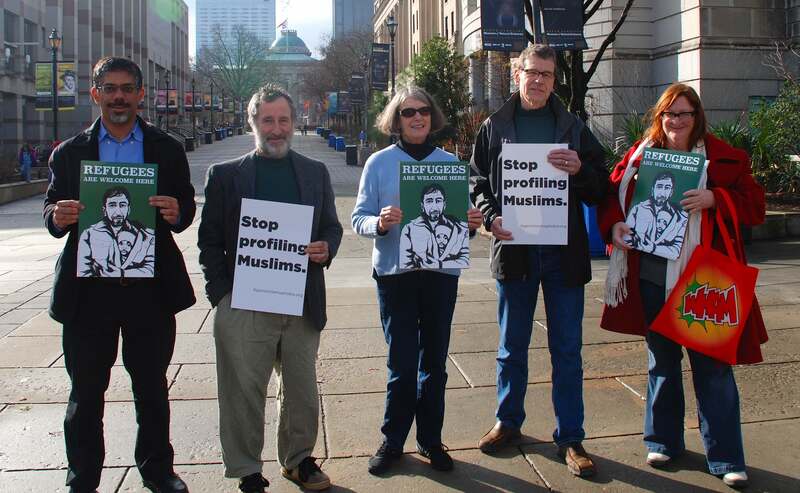 As a response, members of Jewish Voice for Peace – Triangle organized a canvassing action for solidarity with refugees and Muslims in downtown Raleigh. 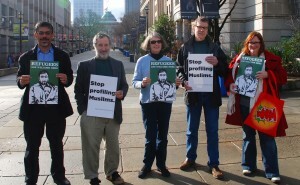 Members of Triangle SURJ (Showing Uo for Racial Justice) and Muslims for Social Justice participated with JVP-Triangle in this action. 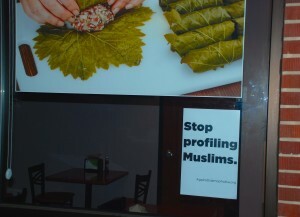 These posters were distributed to downtown Raleigh businesses. 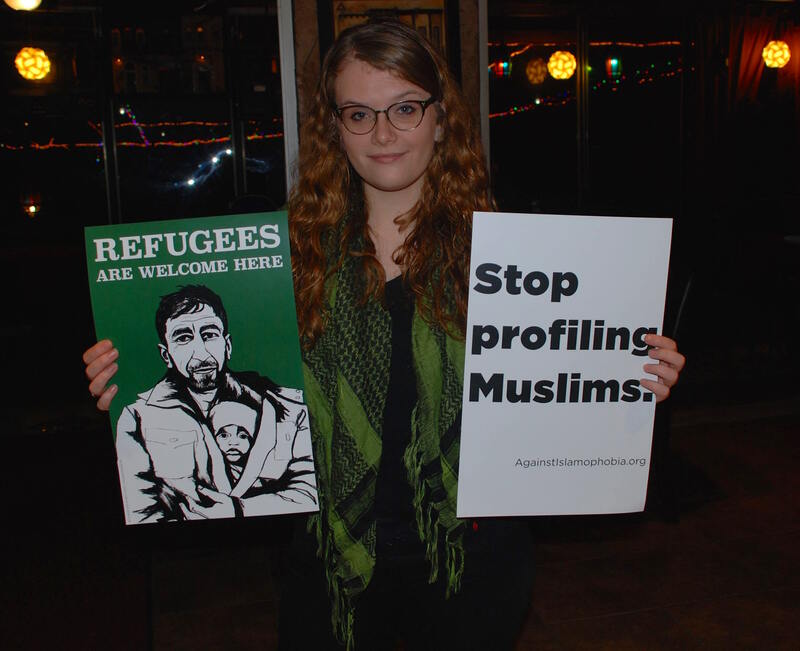 Demonizing of refugees is a consequence of Islamophobia that victimizes people who are already oppressed. Refugees are a product of wars and occupations for which Western governments have a responsibility. 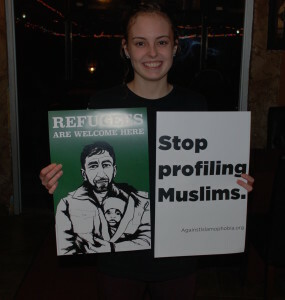 Muslims are also victims of heightened surveillance and profiling. 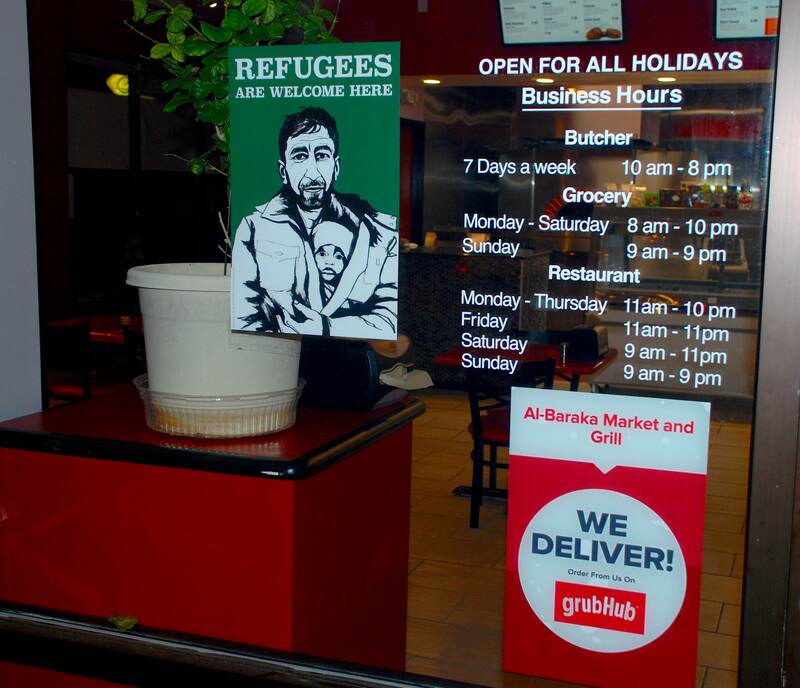 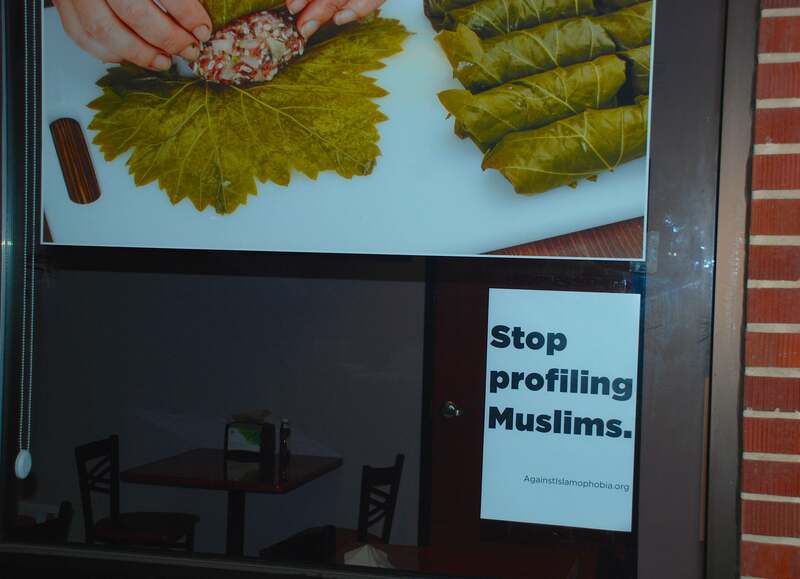 Putting these posters at businesses gives visibility to this important topic and offers a solidarity to Muslims who are victims of institutional Islamophobia. 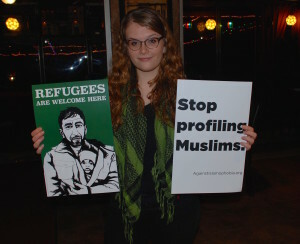 This action was coordinated by Jewish Voice for Peace national who have designed these posters and request people to take similar actions in their local towns.